Our range of products include bosch gcm 12 gdl professional mitre saw, bosch gcm 10 m professional mitre saw, bosch gts 10 professional table saw and bosch gcm 12 mx professional mitre saw. 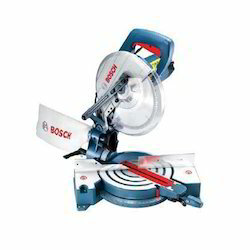 We are considered to be one of the top notch suppliers and traders of high quality Bosch GCM 12 GDL Professional Mitre Saw. Owing to its vertical and horizontal cutting capacity, the offered double bevel sliding mitre saw is highly demanded for various cutting applications. The offered double bevel sliding mitre saw is checked on various quality assurance procedures, to ensure a defect-free range. From the first day of establishment, we are involved in supplying the optimum quality of Bosch GCM 10 M Professional Mitre Saw. 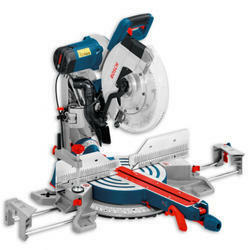 Engineered by using advanced technology, the offered mitre saw is used for various multi layer cutting applications. Being a quality focused organization, we assure that the optimum quality of the offered mitre saw is never compromised at our end. 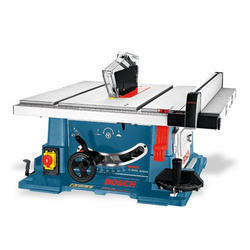 Banking on our rich domain expertise, we have been able to supply and trade Bosch GTS 10 Professional Table Saw. Utilizing innovative mechanism and tools, the offered saw is designed in compliance with the industry set guidelines to attain highest benchmarks of quality. Equipped with tiltable saw blade, the offered saw is developed using quality-assured raw materials.